Blended rate mortgages allow borrowers to take out more funds without having to break their current mortgage to refinance. 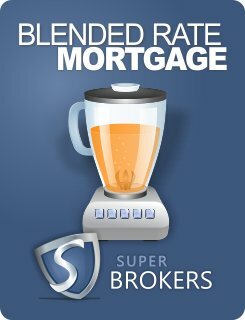 What is a blended rate mortgage? A blended rate mortgage, sometimes known as a combination mortgage, involves taking out a new loan amount on an existing mortgage instead of refinancing completely. The new loan amount is added to your current loan amount, with the two mortgages being combined, or blended. By rolling two home loans into one, borrowers can avoid the extra interest costs that may come from taking out a separate loan or refinancing. Blended rate mortgages should not be confused with portable or ported mortgages, which involve transferring your current mortgage balance to a new property. Why would I want a blended rate mortgage? 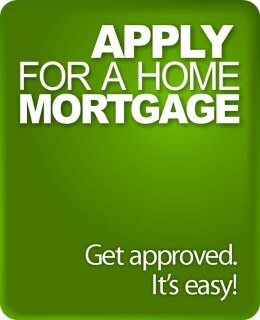 There are many instances in which a blended rate mortgage may be a smart financial decision. For example, if you plan on making renovations to your property and need to obtain funds, adding more to your current mortgage would allow you to access cash without having to deal with the possible higher interest rate of refinancing completely. If current mortgage rates are high, you can blend the new rate with your current rate for an overall more affordable loan. Blended rate mortgages can also be valuable when first purchasing a property. Blending one small loan with another can keep your loan-to-value ratio low, providing the opportunity for savings you might not get if a single mortgage loan-to-value ratio is exceedingly high. Additionally, if you wish to extend your home loan, a blended rate mortgage may be the right choice. Blending and extending can save you money on interest costs by taking current rates and combining them with your original mortgage rate. How do I get a blended rate mortgage? Contact Super Brokers to speak with a mortgage professional who can help you decide if a blended rate mortgage fits your needs best. Depending on your current mortgage rate, as well as the prevailing rates in the market, opting for a blended rate mortgage may be preferable to completely refinancing. Not only could your current rate save you money on interest, but it will help you avoid the penalty fees associated with breaking a current mortgage.